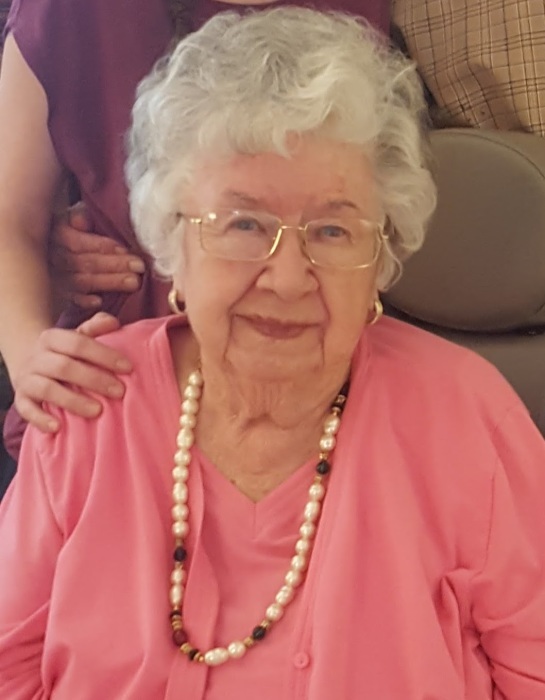 Helene Aleta Batstone passed away peacefully on February 5, 2019 at the age of 91. Helene was born on August 26, 1927 in North Bay, Ontario, Canada to Ina and Earl Page. Helene had one sister, Jackie Maynes (deceased). Helene moved to Tucson with her family in 1962. She was a wonderful homemaker and took pride in entertaining family, neighbors, and friends. Her ability to make everyone feel welcome and loved were some of her greatest strengths. Helene is preceded in death by her loving husband of 71 years, Lloyd. (who passed only 5 months ago) She is survived by her son Jim (Kathy), and daughters Heather, and Janice Stacey (Neal), four grandchildren, two great grandchildren and many nieces and nephews. The family wishes to thank Maria Danila and her staff for caring for Helene these past 10 months as well as the staff of Hospice of the Valley. They are truly angels here on earth. Helene had many words of wisdom to share with all of us through the years and always ended our conversations with, “Be good to yourself dear.” Thank you for being so good to all of US sweet Helene. You will be sorely missed. A celebration of life will be held at 11:00 a.m. on Saturday, February 16 at Messinger Pinnacle Peak Mortuary in Scottsdale, AZ.